When people think of Origin Systems they probably think of the big names like Richard Garriott (aka Lord British) or Chris Roberts. However, there were plenty of other people to help make the company whose motto was "We Create Worlds" a reality. One such man was Stephen Beeman who features on this week's "Where are they now?" Beeman started his career doing boring stuff, at least by gamer standards, but no doubt very important work for his customers. Between 1984 to 1986, Beeman worked as a programmer developing math coprocessor libraries for medical imaging systems and also developed a custom database solution for call centre management. It wasn't until 1987 that he got a chance to embrace his passion for games: board games in fact. Beeman worked at Steve Jackson Games on a vehicle combat board game called Car Wars but only for about a year since in 1989 he moved to one of my favourite development studios of all time: Origin Systems. 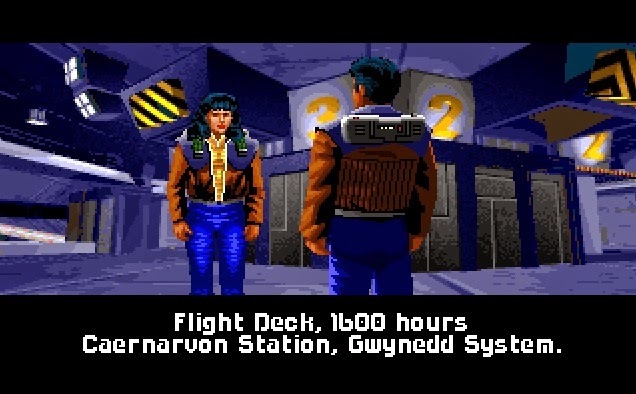 Beeman only worked there for a few years but would end up contributing to a few of my favourite games such as Wing Commander (as a programmer), Ultima VI (as a writer and director) and Wing Commander II (as writer, director and software engineer). Beeman left Origin in 1992 but would continue to work on gaming related projects over the next several years such as working on the 3DO console, working at Microsoft on Kinect prototypes and even returning to Origin in 2000 for a short stint as Director of Online Technology for Ultima Online.